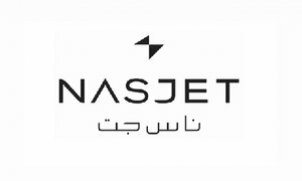 Launched in 1999 in affiliation with US partner NetJets Inc, NasJet originally branded NetJets Middle East, demonstrated the highest levels of expertise by being the first private company in Saudi Arabia to be awarded an Aircraft Operating Certificate (AOC) by the General Authority of Civil Aviation. The company supports VIP’s across the globe by offering access to the largest fleet of world-class private aircraft based in the Middle East, including the largest fleet of Gulfstream IV/450's in the region. NasJet is also part of a 150 strong network fleet with partners Luxaviation in Europe and Asia. The charter business is managed by a highly experienced, dedicated 24/7, 365 days a year charter team based in the Middle East, with offices in Riyadh, Jeddah and Dubai. This team is further supported 24/7 by bilingual Arabic-English 'Client Services' and 'Catering' departments. All together, the Nas Group employs over 1400 full-time aviation experts, dedicated to meeting your requirements at the highest professional level. Currently, the aircraft management and special project teams’, support in access of 67 aircraft (102 total within Group, including non-civil and a Commercial Airline) all based within the region. The corporate aircraft fleet is valued in excess of $2 billion. Many of these aircraft are wholly owned by NasJet including the Gulfstreams and Hawkers, which ensures charter clients are able to get instant availability decisions and competitive charter rates. We invite discerning clients to experience the difference-fly clients with the most qualified private jet operator in the Middle East-a part of the dynamic National Air Services (NAS) Group.